The losses in the ranks of the separatists are being clarified. Over the past day illegal armed formations in the Donbas have violated the armistice 22 times, as a result of which two Ukrainian soldiers were injured, according to the report by the press center of the ATO headquarters. During the 18 shelling, when the life of the Ukrainian military was put at risk, the forces of the ATO returned fire. “The evening and night in the area of the Anti Terrorist Operation were not calm again. The Russian occupation groups did not stop firing our positions in all directions, however during the past day the enemy did not use mortars and other heavy weapons,” the ATO headquarters informed. 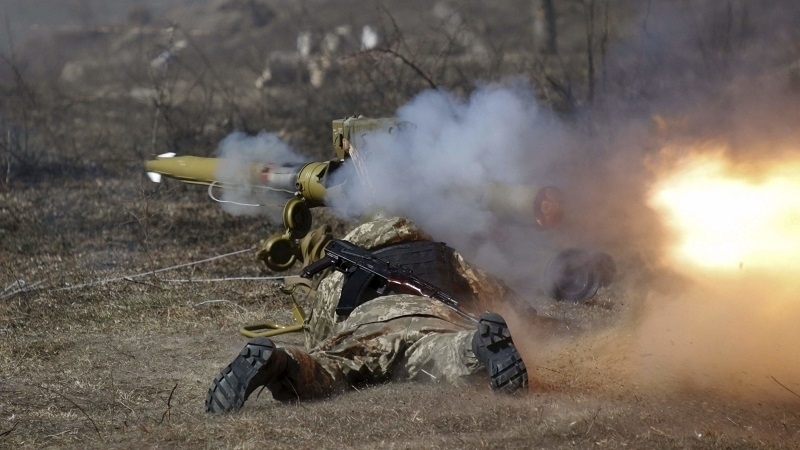 At the end of the day in the coastal area, militants twice hit the fortifications of the Ukrainian army near Vodiane and Hnutovo with grenade launchers and large-caliber machine guns. In the Donetsk direction, the illegal armed formations opened fire twice on the outskirts of Svetlodarsk using the same weapons. In the area of Avdiivka and the Butovka mine large-caliber machine guns of militants were used. Moreover, the militants used grenade launchers near the settlements of Ktymske, Donets and Valuisky. Previously, the unmanned aerial vehicle of the OSCE Special Monitoring Mission recorded the military equipment of separatists in the occupied territories of Donbas near the village of Mirny (Luhansk Oblast). The OSCE report indicates that the SMM patrol was never able to enter the occupied territory of the settlement of Sedovo (Donetsk region). The militants said it was a restricted area.